Purchased just last year. Pretty dirty with slightly rusted disc brakes. Had cyclocross tires. Purchased at Smart Bike Parts in Logan Square. 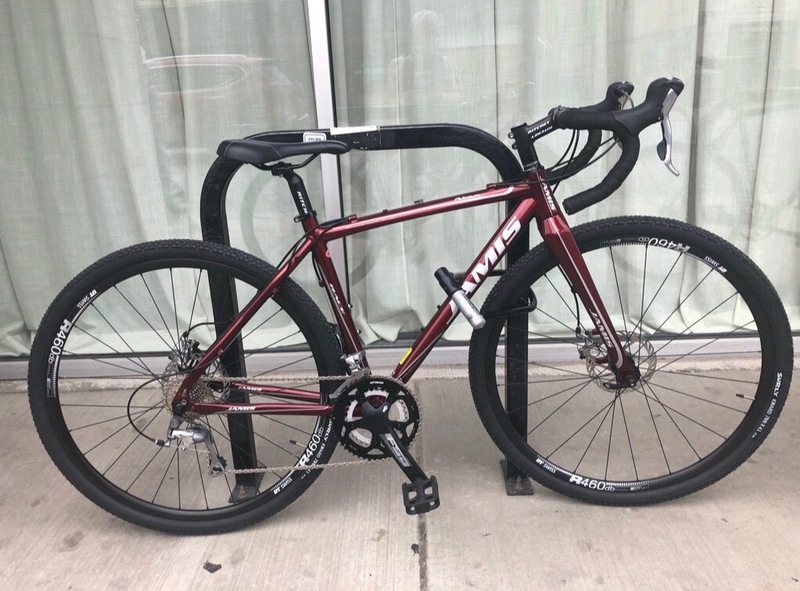 Bike was locked with U-lock to a railing outside 515 N. State Street in downtown Chicago. I left the bike for three hours and it was gone upon return. The lock was missing with the bike. Occurred around 2-3pm IN BROAD DAYLIGHT.